Moving yards is almost as bad as moving house, isn’t it? I can’t say it’s something I’d undertake lightly. However, having recently done it so that Phoenix is at a yard with winter-friendly facilities because she’s now in more work and I need the ability to ride after bedtime if needs be. I’ve come up with some, well I like to think of them as, helpful tips. Use the opportunity to have a big sort out of your things. Take rugs to be cleaned. Ask yourself if you really need that ancient whip with a wobbly end. When Otis moved to his retirement field and I was effectively horseless, I had a good clear out and sold things I definitely wouldn’t need or use again. Over the last couple of weeks I’ve gone through what was left in my garage with Phoenix in mind. For example, does that stable rug of Otis’s fit her? 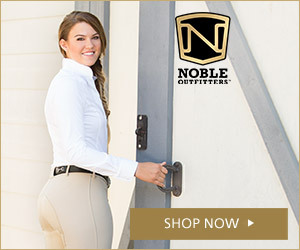 Will that saddle rack fit over her new stable door? So I’ve had quite a sort out. I’ll accumulate more, I’m sure, but it’s nice to have a declutter. Organise your things in the yard into boxes so that moving is simple, and you’re not making endless trips to the car with forgotten haynets or spare stirrup leathers. Plus you’re less likely to forget anything. Plan your move so that you can be around for any teething issues. We decided to move Phoenix on a Friday so that the new yard was quiet when she arrived, and I was around over the weekend to provide a familiar face and meet all her needs should she be unsettled. Check the isolation procedure, if the new yard has one. A lot of yards require worming on arrival, so ensure you’ve got a wormer or have a recent worm egg count result. Some yards require horses to be stabled for forty eight hours in isolation on arrival. If your horse would find this particularly stressful; perhaps they’re young and never been stabled, or they struggle with separation anxiety, I would definitely recommend speaking to the new yard to see if anything can be done to reduce your horse’s stress. Plan your moving day so you have plenty of time to observe your horse settling in. We moved all of my things to the new yard first thing in the morning, dumped it in Phoenix’s stable, and then went to pick her up. Then I unpacked and organised my things while she settled in the field. Once I was finished, she’d been there an hour and quite content. Then I went back to the yard later in the afternoon to check her again before dark. Plan a couple of quiet days while your horse settles in. They may not seem outwardly disturbed, but internally there’s a lot of new things to process; new equines, new field, new yard environment. This may result in them lacking in a sleep because they aren’t fully comfortable in their surroundings so don’t have sufficient R.E.M. sleep, as I blogged a couple of weeks ago. I definitely found that Phoenix tired more easily when I rode her the first day, so I kept it short and sweet, being much more of an introduction to the new arena than anything else. I’ve found that Phoenix is very settled in the field, but slightly more anxious in her unfamiliar stable, so on the first day she just had her feed in there and spent a very short time in there. Then the following day slightly longer, all the time with hay. Gradually I’ve left her there for longer, and then yesterday she spent a couple of hours in there until being turned out, seeming farm more relaxed about the situation. In the first few days I would be guided by your horse. Just ride them according to how they feel, or have a gentle hack in company so they can begin to take in their new surroundings. Some horses may benefit over the first couple of days or just being introduced to their new routine, so coming in and spending a few minutes being groomed in their new stable, having a hard feed in there and just generally absorbing their new environment. I think how well a horse takes to a yard move depends on their age (if they’ve had experience of a stable then they’re less phased by a new stable), their experience (if they’ve done a lot of competing then they are used to different environments and possibly staying overnight at competitions and camps), and their temperament – some horses just accept change more readily than others. Although not always possible, I would definitely look at moving yards and keeping my horse’s general routine the same for at least a couple of weeks. For example, they’ll find it more stressful moving from living out twenty four hours a day to living in with daytime turnout only. Either move so that they can continue living out at the new yard for a couple of weeks, or begin bringing them in overnight at the old yard during the run up to them moving. Introducing horses into fields is always the political, and delicate situation. Definitely speak to the new yard and the field mates, neighbours in individual turnout setups and those in the herd in group turnouts. If there’s a known leader to the herd, who can be quite bossy, (or even if your own horse is dominant!) having your horse on individual turnout adjacent to the herd field for a few days can help the horses introduce themselves, and then put the new horse in with the dominant horse for a couple of days, and then run the herd together. The horses will run, they will bite, and they will kick out while they establish their new pecking order. You can help reduce the running round effect when a horse enters a new field. Phoenix went into a field on her own for the first few days, with neighbours either side, so upon her arrival I gave her a hard feed and then turned her out with a pile of hay in the field. If there’s plenty of grass that’s not necessary. The idea was that she wasn’t starving, and would quickly settle to eat some hay. She barely looked at her neighbours but took to the hay before happily wandering around the field, replete and unlikely to run around in excitement. After a few days on individual turnout, Phoenix was joined by another horse. To integrate them I ensured Phoenix had had her hard feed and hay ration in the field, and the other horse was likewise fed, so that when the two were introduced hunger wouldn’t cause any arguments and they could concentrate on being friends. We also put out plenty of small piles of hay. Unfortunately Phoenix decided that all the hay was for her, especially that which came with the new horse. So the following day we gave them some time apart to ensure that they both ate sufficient hay, and then used my less exciting bale of hay in the field which seemed to help settle them. It usually takes a week or so for a new herd to establish their pecking order, but it’s beneficial for all if you make temporary accommodations to reduce the likelihood of any going hungry or getting hurt. Take enough hay with you to the new yard so that your horse won’t be put off eating new hay whilst also being slightly stressed by the move. Then you can introduce the new yard’s hay over the course of a couple of days. Obviously with the greedy horses and ponies this isn’t so much of an issue! Be aware that your horse may be unpredictable for the first few weeks as they settle in, so keep things quiet and be aware that the tractor on the new yard is scary because your horse isn’t as confident yet in their new surroundings. Earlier this week one of Phoenix’s field friend’s owner asked me about her fly mask as she was very impressed with its stay-on-ability. I bought both Otis and Phoenix the same mask in the spring, and I have to admit I have been pleased with my purchases. It’s made by Shires, so is reasonably priced and good quality. The masks have light net ears, which both horses need. Otis has previously has a horrible ear abscess, and Phoenix was irritated by the little black flies in the spring so I like them both to have their ears protected. The masks also have nose nets. Not so important for Otis, but Phoenix has definitely benefited from having a UV net protecting her white muzzle from the strong summer sun. Shires also offer variations of the fly mask without ear covers or nose nets. The masks have shaped netting over the forehead and eyes, so it stays away from their eyes, which I think helps keep their eyes healthy and stops them getting gunky and sore. It definitely looks more comfortable than the flimsy fly masks. The only potential issue with this design is that if a fly or ten get under the mask they can cause havoc and really distress the horse. Which is why the edge needs to fit snugly around the poll, throatlash and jaw. The best thing about the fly masks, however, is how well they stay on. At the risk of tempting fate, Otis has only lost his when he ripped the side. It’s elasticated around the poll and has two strong Velcro straps which for once are the correct length so that the mask sits snugly whilst the straps don’t overshoot the Velcro pad thus providing field mates with a fun handle to pull. The downside to these masks, as with any, is that you have to keep a close eye that they don’t rub. With all masks I find the tips of Otis’s ears get sore unless I turn the ears inside out, remove the loose hair and scurf that’s built up in the tips, and also cut off any excess material. This one’s no different. I think it’s because his ears are so long! Because they’re snug fitting and have elastic around the poll you have to keep an eye out for rubs developing here too. Phoenix is currently having a break from her mask as she’s got a bit of a rub on her poll which I’d like to settle down before it causes any problems. Plus having a few overcast days is providing some relief from the endless smothering of sun cream I’ve been doing to her. But daily checking, readjusting the masks, and giving them time without them makes these negative points manageable, and the pros of the mask fitting and staying on without slipping far outweighs the cons. To testify how popular these masks seem to be this year, when I looked at ordering a mask for Phoenix’s field friend, I was surprised to find that there’s only a handful available online and definitely none available if you need a cob size! How is everyone managing during Britain’s 2018 heatwave? We’ve been doing horses and any outdoor jobs in the morning and evening; hiding from the heat during the day because it’s too hot for anyone, let alone babies. In general, horses in the UK seem to find it difficult to adapt to the heat. Partly because it’s so infrequent and comes along suddenly, and partly because a lot of horses are colder blooded, native types with thick, dense fur. So with the hot weather, comes a few routine changes. I for one have been riding later in the evening. In my pre-baby life, I’d have been up with the larks riding in the cool. Schooling sessions become shorter or non existent. I did a lesson yesterday morning which consisted of about fifteen minutes in trot, split over the lesson, and the rest in walk. It was a good opportunity to practice lateral work without stirrups and nit pick on my rider’s aids. Hacks become much more appealing, don’t they? Any woods provide some shade and there’s usually more of a cool breeze. I read last week that horses feel the heat more than we do so it’s important to consider them when deciding to ride. Some people prefer to have their horses stabled during the day in summer, and turned out overnight when it’s cooler and there are less flies about. For me, it depends on the horse and their field. People underestimate the shade that trees provide. I found this out a couple of weeks ago at a wake. The back garden of the house we were at had several large trees on one side and a sunny patio on the other. Sitting on the grass under the trees I was lovely and cool while those sat at the patio table with a parasol up were still boiling hot. So if your horse’s field has trees to provide shade and they aren’t bothered by the flies I would personally prefer them to stay out where they can move around and benefit from any breeze (which also deters the flying pests) that’s about. It’s also worth considering your stables. Wooden ones can become ovens whilst stone barns stay lovely and cool. Wash them off liberally. Yes they may not have worked up a sweat walking around the woods, but they’ll still be grateful for a shower. There is the age old argument about how to cool off horses properly. The way I see it, the majority of the time horse owners aren’t dealing with a horse on the verge of hyperthermia and heat exhaustion (this week excepted) so hosing them and allowing the cooling process of evaporation to cool them down is sufficient. This week though, you may want to opt for continuous hosing and sweat scraping to bring down their core body temperature quicker. Then of course is ensuring they’re hydrated. Horses will drink more in hot weather, much like us humans, so making sure they have plenty of clean water available is paramount. Ideally the water wants to be cool so that it is more appealing to the horse and refreshing. Standing water buckets need to be in the shade, but be aware of flies congregating around them. Self filling troughs are very often cooler despite being in the full sun because they’re continuously topped up with cold water from the underground pipes as the horses drink. When a horse starts to get dehydrated they also stop wanting a drink, which obviously compounds the problem. What’s the evolutionary benefit to this, I wonder? It’s far better to never let them get thirsty in the first place. Adding salt to their diets, in feeds or with a lick, encourages them to drink. It may also be worth having a feed such as Allen and Page’s Fast Fibre which has very little calorific value but needs soaking for ten minutes before feeding. Adding that to their bucket feed, or even substituting that for part of their hay ration will help keep them hydrated. Some horses like their bucket feed to be sloshy so that’s a good way of giving them more water. You can add electrolytes to their feed too which aids hydration. With this intense heat we’re having, there’s also the risk of sunburn. For both humans and equines! I heard a few weeks ago about a horse who had been clipped. I think he was a predominantly white coloured. But over the next couple of days his back got sunburnt due to the coat no longer protecting his pink skin. That’s a good reason to use a quality UV-proof fly rug, only half clip or indeed not clip at all! The UV-proof fly masks with nose nets are great at protecting white noses, and using factor 50 suncream helps prevent sunburn – don’t forget to use it on yourself too! I’d also be wary of white legs, particularly on fine coated horses as these could also suffer from sunburn. Finally, check they aren’t overheating in any rugs. A lot of fly rugs are very breathable and thin, but sweet itch rugs tend to be of a thicker material. It might be worth using a lightweight fly rug on a sweet itch horse during the day, and sacrificing it if they start a scratching session and them staying cooler rather than them getting too hot in a sweet itch rug. -Dry mucous membranes in the mouth – they should be pink and have a slimy feel to them. To check the mucous membranes, press your finger on the gums and they should turn white with pressure. Once you have released your finger they should return to a normal pink colour. One of my client’s poor pony is suffering from white line disease. We think it’s been a long time brewing because each time the pony has been trimmed by the farrier he’s been footsore for a few days. Anyway, what seemed to be an abscess a couple of months ago didn’t clear up and then the vet diagnosed white line disease. A new farrier later, and he’s making progress. Unfortunately, due to the rate of growth in the hoof, any problems with the hoof wall takes months to recover. I don’t know much about white line disease, so I’ve done some reading up on it. When you pick up the foot, you can see the white line where there sole meets the outer hoof wall. Damage to this area allows fungus and bacteria to get between the sole and hoof wall, which causes them to separate. Infection then spreads up the hoof towards the coronet band, destroying the hoof wall and making the horse very lame. White line disease usually affects the toe and quarters of the hoof. As the hoof deteriorates it takes on a chalky, crumbly, soft, white texture. There are numerous different types of fungi which can be involved in white line disease, which makes treatment harder, especially as some spores cannot be eradicated, which means that some types of white line disease cannot he treated, only managed. Because the hoof wall is made of dead cells, like our finger nails, the damaged area cannot regrow as skin would around a wound. Instead new, healthy hoof has to grow down from the coronet band which can take up to six months. Which is why you can see ridges on hoof walls following a change in diet or health. White line disease sets in if the hoof wall is weakened, or if the hoof wall starts to separate from the laminae due to poor trimming and balancing of the foot. It begins with small cavities in the hoof wall, or seedy toe, which a good farrier should pick up on and take appropriate steps to prevent the disease spreading. Farriers will shoe horses with white line disease with bevelled shoes to bring the breakover point further under the foot which takes the pressure off the toe area, and supports the compromised area. Shod horses are more likely to develop white line disease because of the mechanical pressure of the metal shoe against the hoof wall can literally tear the hoof wall away from the foot. Treatment of white line disease involves removing the infected hoof wall, and then keeping the area as clean as possible. Horses usually need box rest, especially if lame, and to keep the foot as clean as possible, using an iodine or alternative solution. Once healing is established and the ground conditions are favourable – dry and mud free – the horse can begin light work because movement improves circulation and increase hoof growth. There is a risk of laminitis developing as a secondary infection if a lot of the hoof wall is debrided and the bones of the hoof are less supposed so the laminae becomes detached. By supporting the bars and frog of the shoe you can reduce the risk of laminitis developing. Caught early, white line disease is easily managed, but in more severe cases special shoes, boots or cast are needed for several months in order to provide enough support to the structure of the hoof while the healthy hoof grows down. Farriers measure the lesion upon treatment so that the next time they trim the foot they can establish if the rate of hoof growth is exceeding the tearing of the hoof wall. If this is the case then the hoof will recover as long as it’s kept free from further infection by keeping it disinfected, dry and open to the air to discourage the fungi from thriving. You can try to prevent the onset of white line disease by feeding biotin containing supplements to improve the quality of the hoof wall, and having the hooves trimmed and well-balanced regularly. The farrier should keep an eye on old nail holes, old abscess sites and quarter cracks. Other than that, good hoof hygiene and care is paramount at preventing white line disease, and catching it early. Horses kept in a more artificial environment – stabled with less turnout – and those in extreme conditions (very wet or very arid) are often more prone to developing white line disease. It’s been creeping up on me for a while; I’ve caught myself thinking “I want to do that with my next horse” or “I’d like a horse good at that”. But about a month ago I watched Otis in the field and resigned myself to the fact that he won’t come sound. Maybe he’ll be a happy hacker, but really I needed to face facts. The main thing though, is that he’s happy in his field with his buddies and I can afford to keep him there indefinitely. He’s not suffering, just a bit limpy, and otherwise in good health. I then broached the subject that next year I would like to get another horse. It’s all very well riding other people’s horses, but when you’ve experienced the bond with your own, and enjoy the satisfaction of training and competing, it’s not the same. I know I’ve lost some motivation through not having my own horse or reason to improve my ability. Yes, next year we’ll have our own two-legged project, but I like to keep busy and I know that not having my own horse will cause me to go insane. Thankfully, my lovely husband readily agreed to my light at the end of the tunnel. I allowed myself a couple of hacks to think about what I want and need from a horse. I was quite specific. A native or hardy breed, or part bred. Height wasn’t really an issue; I’m lucky enough that I can ride anything between 14.2hh and 16.2hh, but I’d prefer to stay below 16hh. I enjoy training a horse, so I wanted something I could take further. But not a real youngster as I wouldn’t have the time to devote to backing a baby. It would also be nice to have a horse who has already been shown the basics, perhaps five or six, that I could quite quickly start taking out to clinics or little competitions. They needed to be trainable. I enjoy learning and training, so need a horse who does likewise. Whether their forte is jumping or dressage, I didn’t mind. Temperament is paramount now. I want something which can have a week off yet still behave. One that I can tie up on the yard, leave to check on the baby, and not worry they will cause havoc. Likewise, in the future the horse needs to be sensible so I can juggle a child with them. I know full well that horses can be unpredictable but certain temperaments are more reliable than others. I want them to be reliable. My free time will be limited and I want to know I can ride and enjoy my ride, not battle hormones or a bad mood. I’d like them to be sensible to hack because when we get a pony I’m going to want to ride and lead: whether my child is riding or I’m exercising the pony. Even as I thought of my list, I knew I was setting a rather stringent criteria and would be lucky to find anything which remotely fitted the bill. Anyway, we weren’t looking yet so I filed my list away at the back of my brain. Welsh Section D – more to the point, a half sister to Otis. Backed as a five year old and sold to a lady who had a friend ride her lightly – mainly hacking – from June 2016 to May 2017. Since then she’s been lunged and led out on hacks a couple of times a week. Being sold because of owner’s ill health, and the fact she’s currently wasted. On face value, most of my boxes were ticked. Just six months too early. I was really intrigued, but had an argument with myself as to whether I was being sentimental with the Otis link, or whether it was worth investigating further because of the other factors. My Mum told me that I should look, because otherwise I’d always wonder “what if” and upon seeing her she may be immediately unsuitable. I did a bit of research on the internet and social media, and actually found the original advert from April 2016, which I remembered seeing at the time and commenting “oh she looks nice”. With the one condition that I don’t ride her (the whole six nearly seven months pregnant thing) I went with a friend to see her. The mare was nicely put together with clean, straight limbs (although the photos below make her look splay legged! ), a more traditional stamp of Welsh than my Welsh Warmblood Otis, and stood quietly while I examined her. I was told that she could be quite nervous, and when her owner bought her she was difficult to catch. I wouldn’t say she was really nervous from what I saw, but she was definitely cautious of new people. She wasn’t jumpy, just intrigued by things. I was also told that she wasn’t mareish – my first important question. We watched her being lunged. She can be a bit fresh initially, but it was nothing compared to what I’m used to. She had a lovely movement, and after ten minutes she looked very relaxed and calm, so I asked my friend if she fancied sitting on. This was my big question. Because if I’m not allowed to ride until the spring then if she was sensible after eight months of not being ridden then there wouldn’t be a problem in April. The owner thought the mare would be fine, and my friend is more than capable. Starting off on the lunge, my friend had a walk and trot, went over some trotting poles. The mare hasn’t really done any jumping but poles don’t cause a problem. She looked very balanced in trot, and hasn’t done much canter work. Then we took her out around the village on her own. She was perfect with the cars and cyclists, more interested in what was going on in the driveways, and she looked very relaxed. Really, we couldn’t have asked any more of her. Over the next week I battled with myself as to whether this mare really ticked all the boxes, if I trusted my friend’s judgement of her under saddle. Was I being sentimental because she was related to Otis, or did I believe his lovely temperament ran in the paternal side of his family? Was the price right, and worth me keeping her over the winter. Could I justify paying more livery fees when I was about to go on maternity leave? What would I do with her over the winter – would getting to know her, doing some lunging to introduce jumping and cantering keep us both occupied? She was a mare, a chestnut one no less. My last mare was a grey called Filly when I was ten! This was unknown territory. After doing some budgeting and working out finances, I decided to go for it. I needed a basic livery yard which ultimately provided grass livery, ad lib hay in the field, and would be able to check her when I’m otherwise occupied in March. Timing is never right in life, and it did seem like it was meant to be – as far as I can tell, she meets my criteria; the price was within budget and she was local. Yesterday, we went to pick her up. She had never travelled in a trailer, but loaded slowly but surely, and remained very calm all the journey. We turned her out into the small herd of mares, and within ten minutes she was grazing happily. You can see the introduction here. Today, she was very content in the field and let me catch her after sniffing me thoroughly. I gave her a quick groom, getting to know her and checked for any injuries from her field initiation. She was alert to the surroundings, but stood fairly still. Then I put the bridle on and took her to the arena. The surface was a bit crusty with frost but I wanted a “before video” and to introduce her to the arena. She was very good – the video for your perusal is Here – and you can see that she moves very nicely, although my lunging leaves a bit to be desired. We’ll have a look at canter next week when the ground is better and she’s more settled. You’ll see in the video on the right rein, that she stops and turns in to be. Behind, just out of shot, someone had come round the corner with a saddle which she stopped to look at. Overall, she was a bit tense and lacked focus, but given the fact she’s at a new yard and with a new owner, I don’t think she did anything wrong, and if that’s going to be the extent of her behaviour at new places then I’m more than happy. From what I can tell so far, I think we’ll be slow to build a relationship because I still feel like I’m cheating on Otis, and she is an introvert. But I also think we’ll get on well and have lots of fun together. Oh yes, I haven’t told you her name. She came with the name Dolly, but I’ve known lots of Dolly’s, and I didn’t really feel that it suited her. After some thought, I came up with Phoenix. For her fiery colour, and for new beginnings. After all, it is the end of an era and the beginning of another. As promised, here is the Otis update. He’s had a happy summer in a huge field of good quality grass. The vet came out at the beginning of September to see how he’s progressing. In walk, Otis looked really good but there was still a limp in trot, which didn’t please the vet. He had a look at Otis’s feet, and whilst he’s been shod very well with the eggbar shoes, his heels haven’t grown out as much as anticipated. When his contracted heels grow out there should be less pressure around the sidebone, which hopefully means he’ll become sound. Obviously, hooves take a long time to grow so it’s a matter of patience, and best supporting them. The vet recommended a type of shoes called Flip Flops, which are half metal and half plastic. They don’t provide support to the heel like the egg bar shoes, but the plastic heels mimic the ground and encourage more blood flow to the hoof because the frog and heel are expanding and contracting with each stride. So I rang my ever patient farrier and asked him for advice and further information. He said, which had already sprung to my mind, that if the flip flop shoe is mimicking the ground, why not put Otis on the actual ground and take his shoes off? Then the ground , which is no longer rock hard, will cause the expansion and contraction of his feet thus increasing blood flow and hopefully the heels to grow out. I agreed wholeheartedly. I think the flip flop shoes would benefit a horse who has poor horn quality so can’t go barefoot, but as Otis has strong hooves and the time of year is right, why not just go barefoot. When he saw the farrier this morning, the farrier told me that Otis’s hind feet are looking a better shape for being barefoot all summer. He also has plenty of hoof growth so must be on a healthy diet too, which is always reassuring. We took photos of his front feet with rulers, so we can measure the (hopeful) improvement in his heels. In other news, Otis decided last week that fly season was over and he didn’t need his fly rug on. Which has allowed his coat to get even thicker, so he has a good winter coat and fat covering going into the winter. I’d like him to stay rugless if possible, but obviously he’s used to being rugged in previous years so if he needs a rug I’ll put it on. I had thought that if he needed to be brought back into work around now then I would, but obviously he can’t but looking at him, I think he’d be too wide for me at the moment with my stretchy pelvic ligaments, so he’s got until April to sort his feet out and then we’ll go from there.